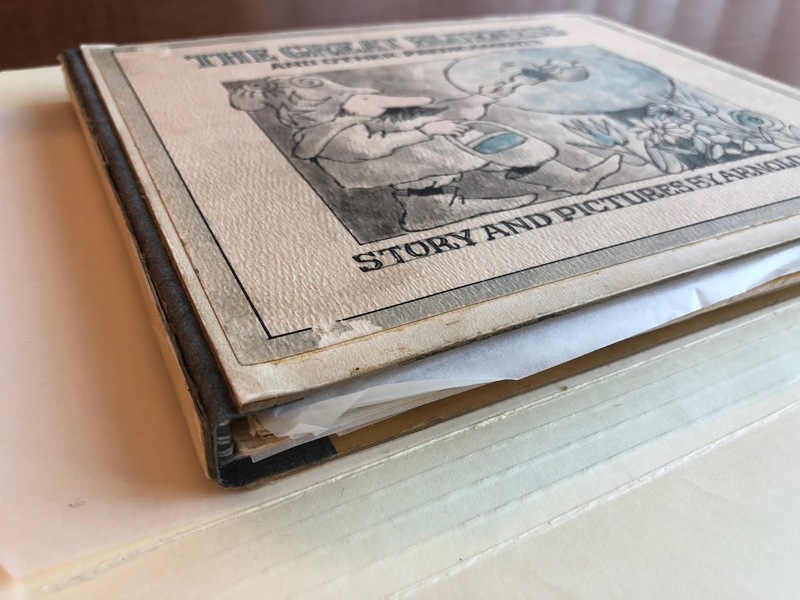 With a collection of over 100,000 children's books and original manuscripts, artwork, galleys, color proofs, and other preliminary materials from 1,700 authors and illustrators, the Kerlan Collection at the University of Minnesota in Minneapolis is, according to its website, “one of the world's great children's literature archives.” I spent three weeks there this past summer as the Ezra Jack Keats/Kerlan Memorial Collection Fellow digging through boxes of sketchbooks and drawings from some of my favorite kidlit creators; James Marshall, Arnold Lobel, Alice and Martin Provensen, Aliki, Edward Ardizzone, Betsy Lewin, Roger Duvoisin, and many more. The stacks are where items are stored. There were rows and rows and rooms and rooms of these aisles. It was like IKEA, but all preliminary materials and books. It was incredible. I didn’t know how profound of an impact this funded fellowship at the Kerlan would have on me. I encourage anyone reading this post to apply for the Ezra Jack Keats/Kerlan Memorial Fellowship (due annually on January 31st). 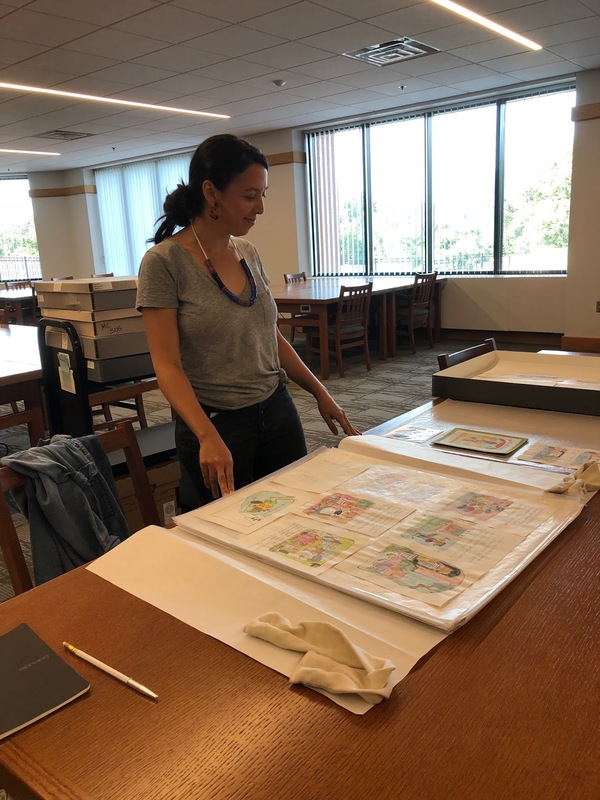 It gave me the opportunity to set aside three weeks to dedicate to looking at archives, and it being funded allowed me to go to Minneapolis without financial burden. 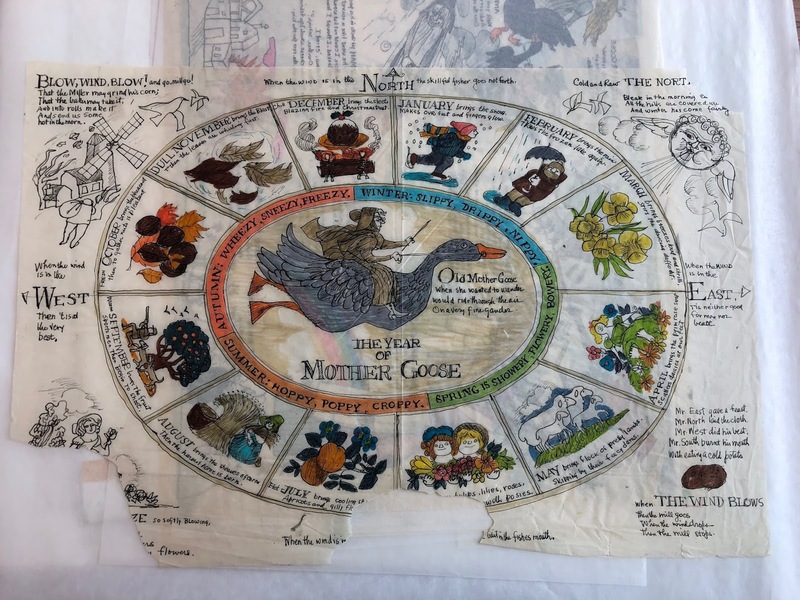 Regardless if you apply for this fellowship and receive it or not, the fantastic thing about the Kerlan is that anyone can make an appointment to see items in the collection. 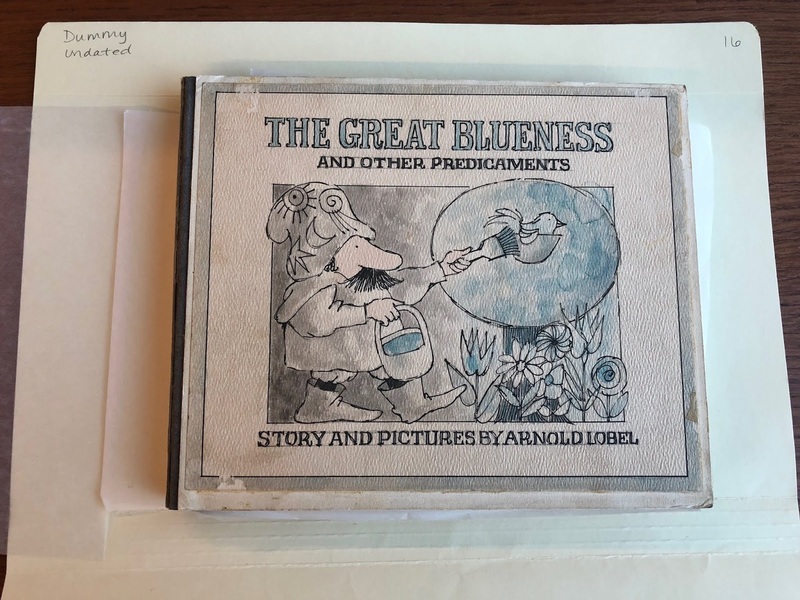 You do not need to be a researcher or be affiliated with an institution to look at Arnold Lobel’s dummies; you can visit and see materials as someone who is simply interested. In this way it’s similar to a public library’s children’s literature collection, which I wrote about on kidlitartists in 2017. 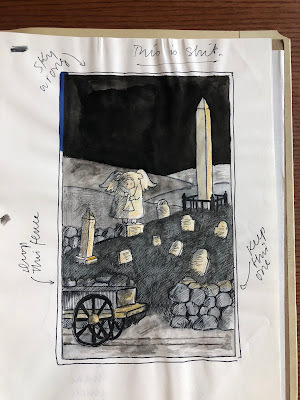 If you write and draw picture books it’s critical to spend a lot of time reading books. I would also argue that another critical piece of your never-ending education should be time spent in children’s literature archives and research collections. Archives give you a glimpse into an author-illustrator’s process and work. When you compare their preliminary materials to their final book you have a much deeper understanding of what went into making and developing it. Before I went to the Kerlan I didn’t realize how alive archives can be. 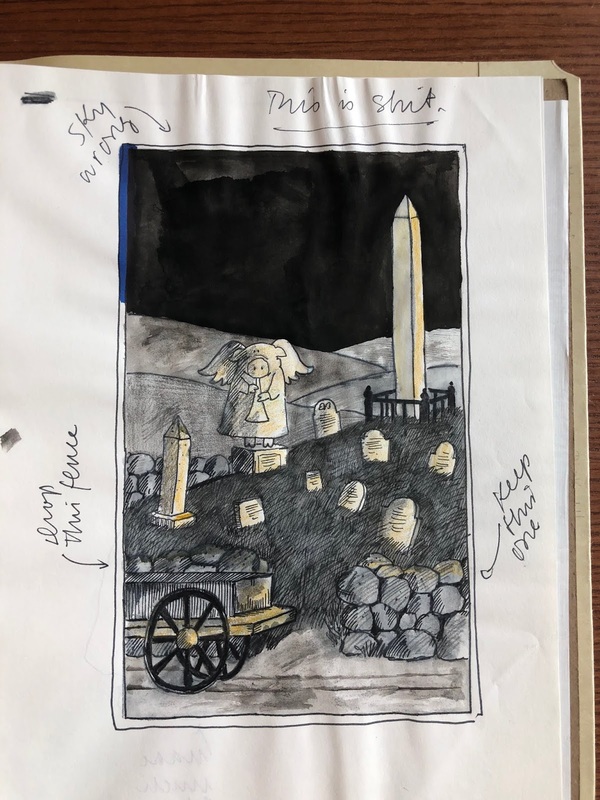 The Kerlan is constantly acquiring new items and curating exhibits that offer different interpretations of the collection. 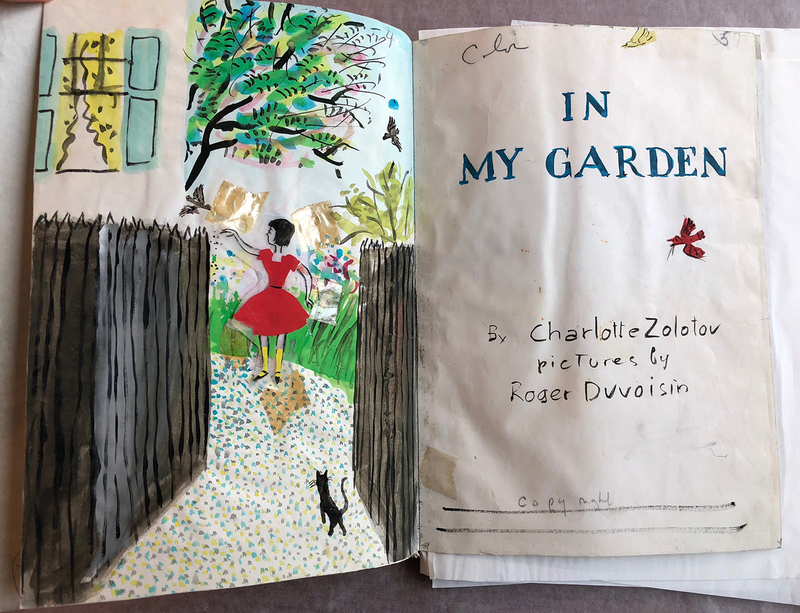 One upcoming must-see exhibit is called The ABC of It: Why Children’s Books Matter which offers a brilliant survey and exploration of the way that children’s literature has contributed to and reflected cultural norms, politics, and society. 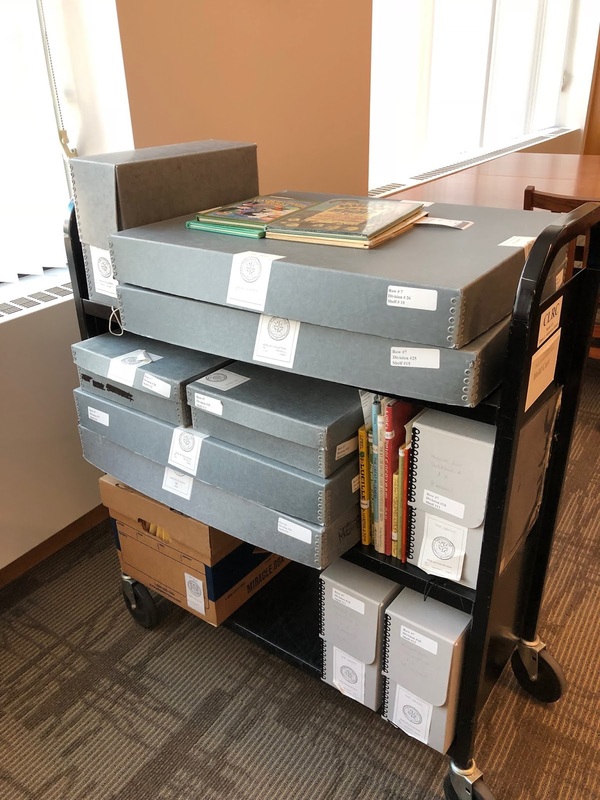 Many pieces in the Kerlan Collection resonated with me and I wanted to share some materials that I uncovered with the support of the collection’s Curator, Lisa Von Drasek, and the Assistant Curator Caitlin Marineau. Curators, like librarians, are basically walking resources themselves and I was lucky to be able to access their wisdom and their support in connecting the dots between pieces in the collection. 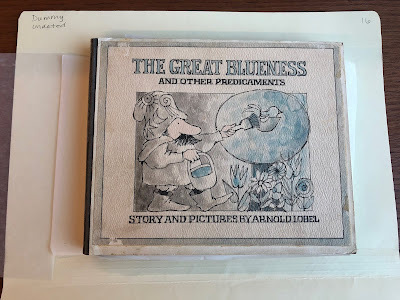 One of the first items I looked at was Arnold Lobel's handwritten manuscript for Frog and Toad Are Friends. 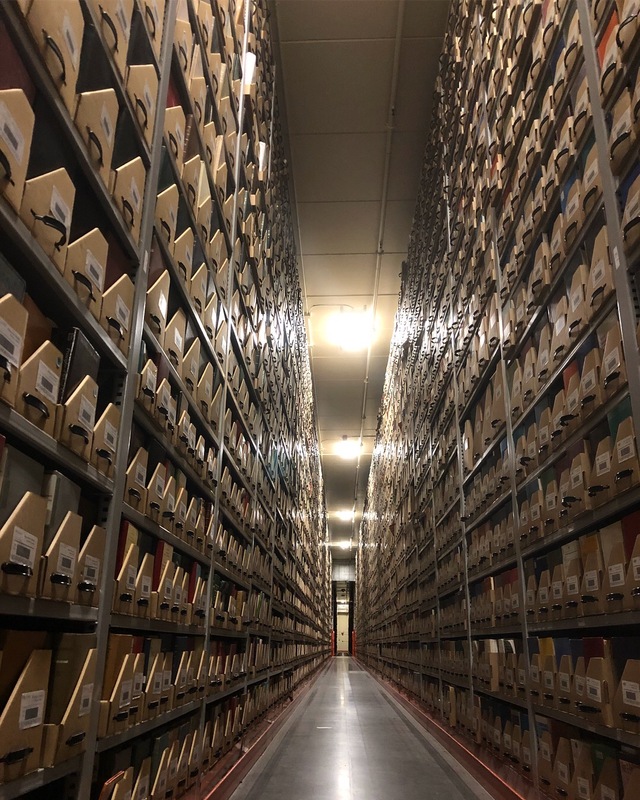 Archives can be a surprisingly emotional experience; you're closer than you've ever been to the creator. It's highly intimate. 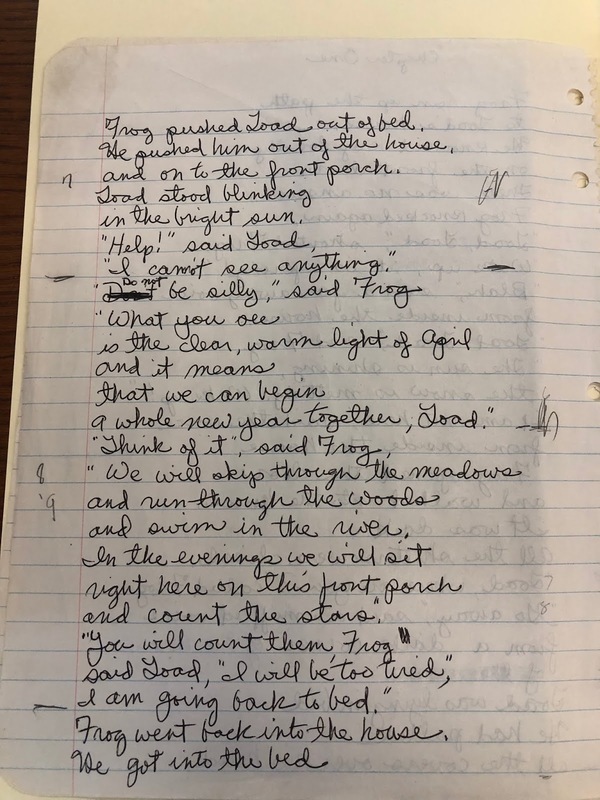 This passage describes what could be interpreted as deep love and companionship: "What you see is the clear, warm light of April and it means that we can begin a whole new year together, Toad... We will skip through the mountains and run through the woods and swim in the river. In the evenings we will sit right here on this front porch and count the stars." 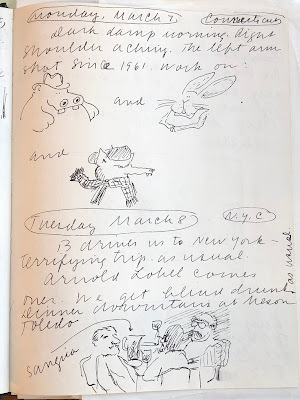 Arnold Lobel was closeted for most of his life, and died of HIV/AIDS in 1987. 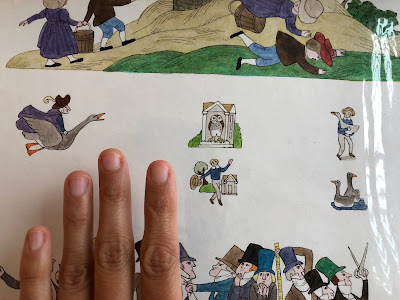 I think ‘Frog and Toad’ really was the beginning of him coming out,” says his daughter in a 2016 New Yorker interview. Lobel also made incredibly beautiful dummies. These were all handmade and bound (sewn together and reinforced with bookcloth). Lobel worked in color separations, so perhaps he had to make these very finished dummies as a way of communicating what final art would look like. 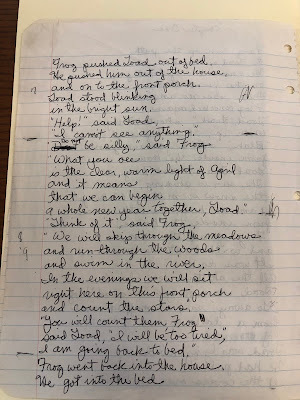 I was quickly sucked into the Kerlan's collection of James Marshall's sketchbooks. They have about 44 of them (and this isn't even all of his sketchbooks! Many are in other collections!). 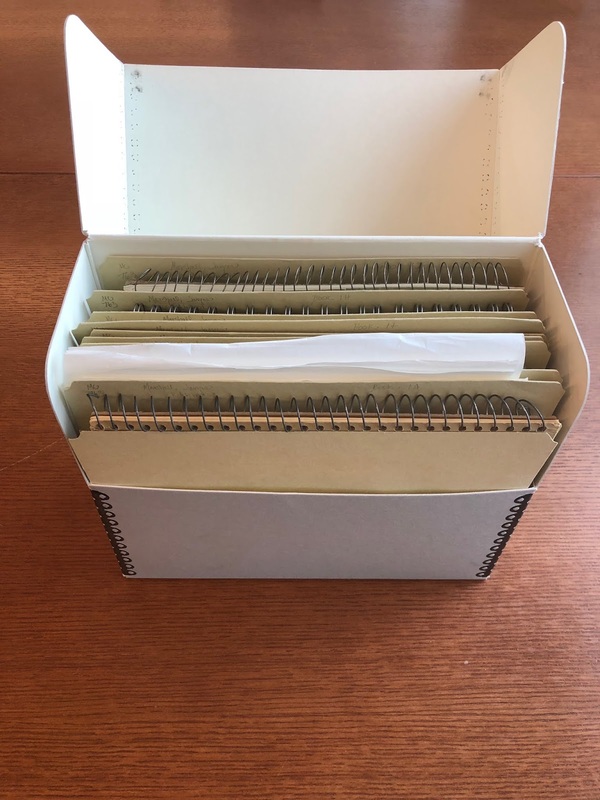 Marshall is an archivist's dream; he recorded nearly everything in bound notebooks and then donated them to collections. One box of James Marshall's sketchbooks. There were many boxes. 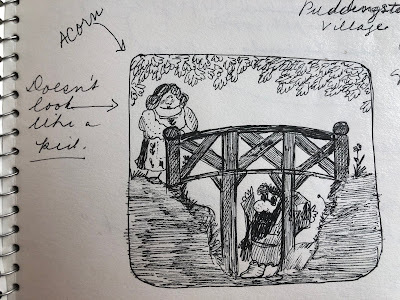 When looking at his sketchbooks you can see how much of a merciless self-editor Marshall was. 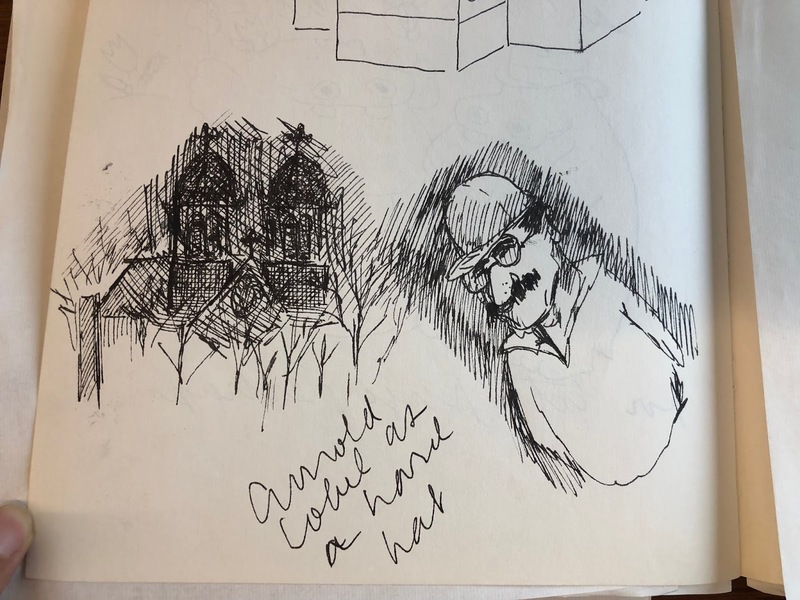 He appeared to experience a lot of frustration; I noticed several drawings with scribbled out faces and his own commentary that drawings were not up to snuff. "Doesn't look like a kid." 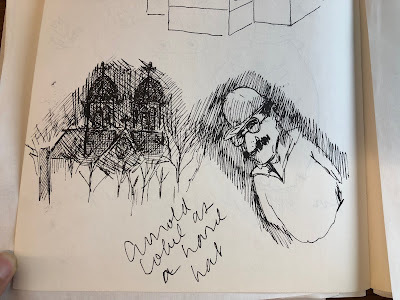 Another thing I observed in Marshall's sketchbooks was his interactions with other creators in the children's literature community including Maurice Sendak, "Ted" Gorey, Hillary Knight, and more. 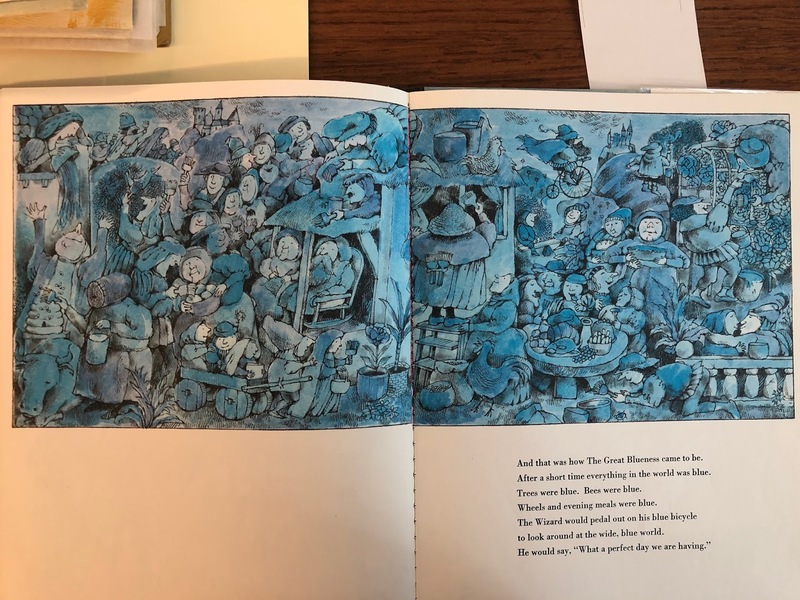 In one section he writes about how he heard that one of Sendak's preliminary drawings for Outside, Over There sold for $12,000. 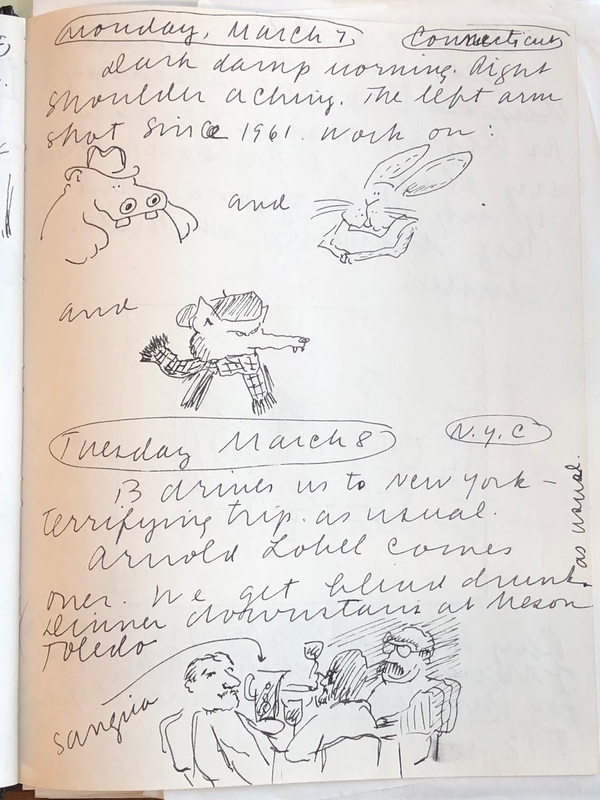 In another passage he writes about hanging out with Arnold Lobel. "B drives us to New York as usual. Terrifying trip as usual. Arnold Lobel comes over. We get blind drunk. Dinner downstairs at Meson Toledo." One interesting thing about seeing items from the Kerlan was seeing the different scales that artists worked at, and how they used a page. Alice and Martin Provensen worked at vastly different scales, and their use of ink and their ability to crowd so much storytelling into a small space was amazing. 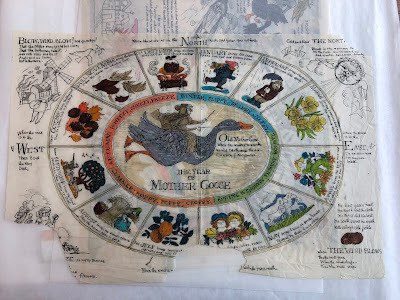 "The Year of Mother Goose" by Alice and Martin Provensen. 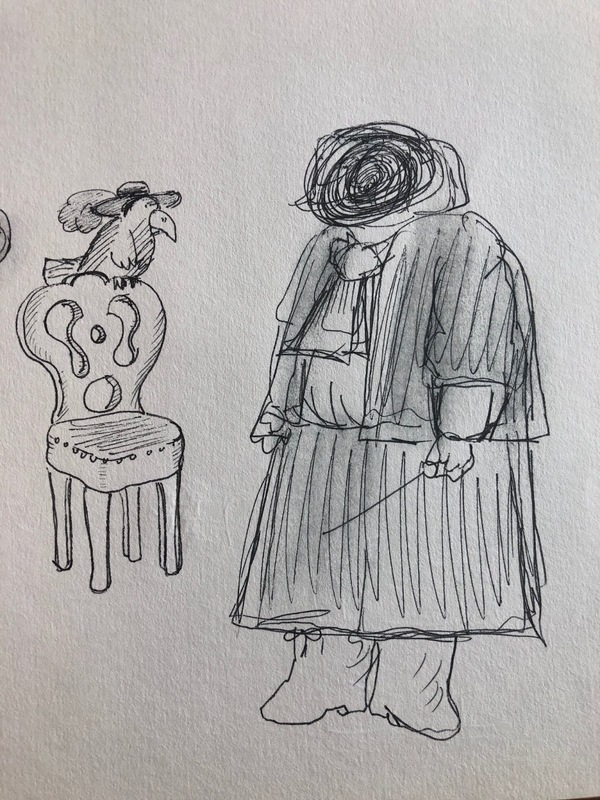 Ink on vellum? 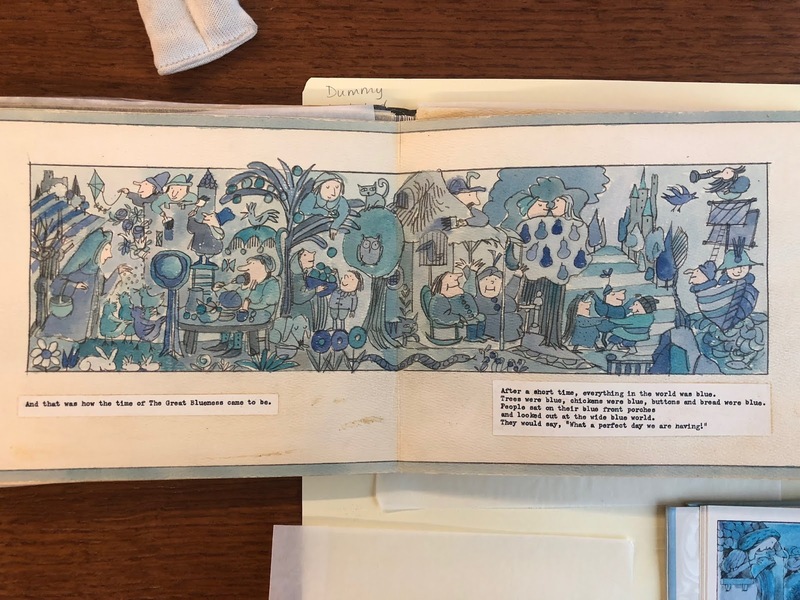 I'm fascinated by the Provensen's story of collaboration in picture books, inspired by their jobs working as animators. 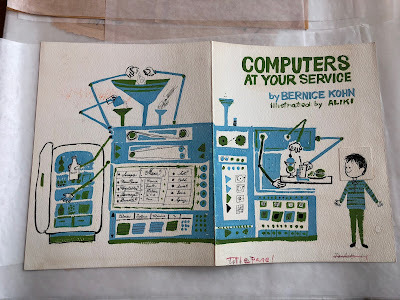 According to an interview Alice did with Leonard Marcus they worked in the same space with their drawing tables back-to-back. 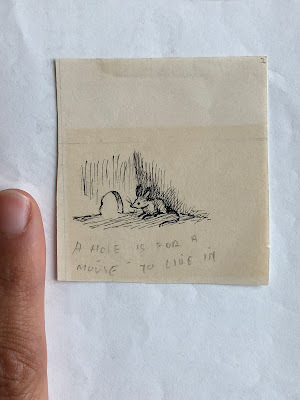 "If you weren't satisfied with a drawing and didn't know what to do next the other person could help you along. Of course, it had to be the right person, one who understood what you were trying for." She continued, "We were a true collaboration. Martin and I really were one artist." The Kerlan has a small Maurice Sendak collection, also of very small drawings, most of them for A Hole is to Dig and I'll Be You and You Be Me. Aliki is one of my favorite illustrators, partially because she seemed to allow herself to experiment so much with materials and style. 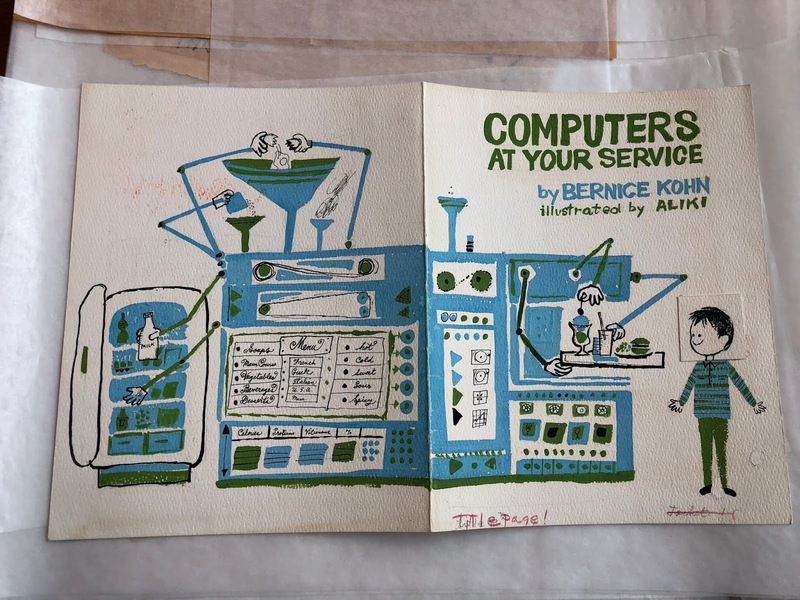 I'm fascinated generally with how technology was explained to children over 50 years ago, and Computers at Your Service (1962) does not disappoint in terms of the utopian promise of computers' impacts on everyday life. 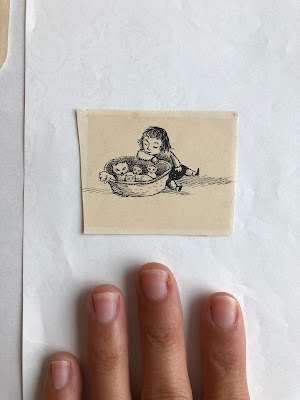 There was so much more that I saw that's not in this post, and I encourage everyone who makes picture books to visit the Kerlan Collection, or to see if there's an open-access children's literature research collection (CLRC) near you. 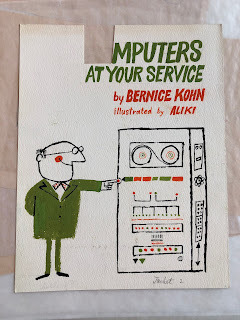 If you want to see additional materials I photographed from the Kerlan I archived some pieces through an Instagram story (you’ll need to log in to see it). 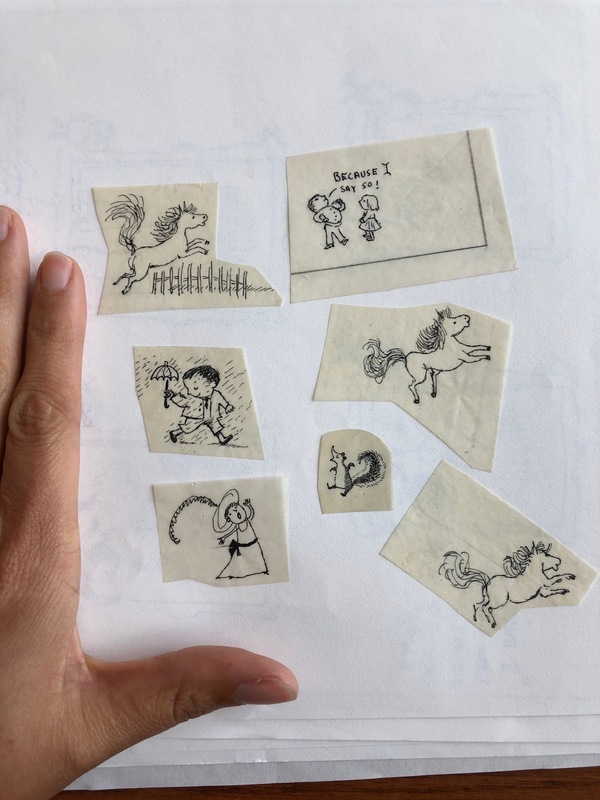 You may also want to read a blog post I wrote for the University of Minnesota Libraries blog What an archive reveals about the life and process of a children's book creator which is, in a way, a tribute to James Marshall and a look at his work and him through his sketchbooks. 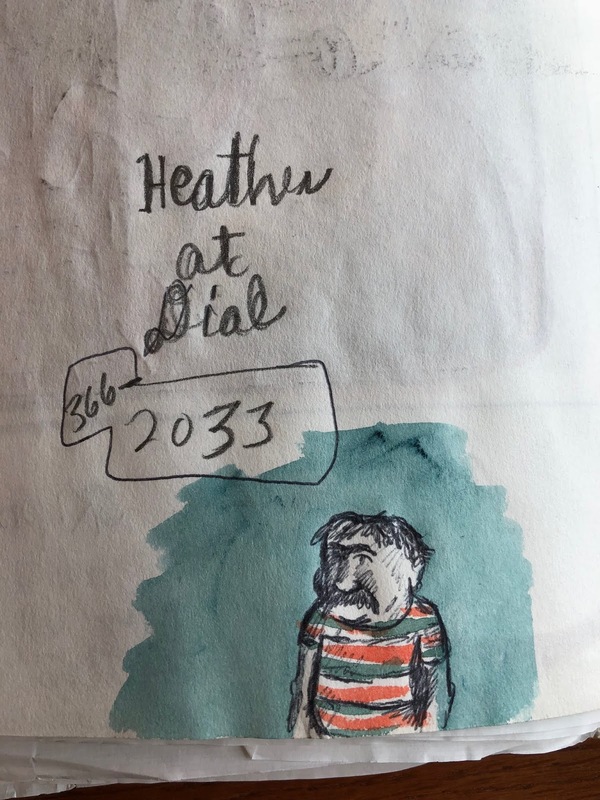 K-Fai Steele writes, draws, and lives in San Francisco. She has three books coming out in 2019. Noodlephant by Jacob Kramer (Enchanted Lion Books) is launching at ALA Midwinter 2019 in Seattle followed by a west coast tour. Follow her on instagram (@areyouokfai). A Normal Pig is her author/illustrator debut (Balzer + Bray/HarperCollins Childrens, June 2019). 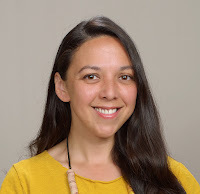 She's also illustrating Old MacDonald Had a Baby by Emily Snape (Feiwel & Friends/Macmillan, Fall 2019). Your post, K-Fai, is amazing! 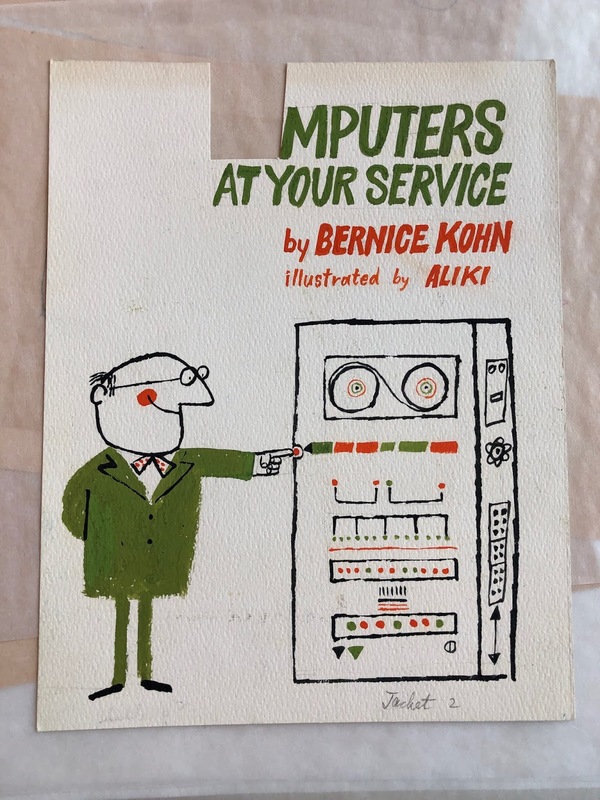 Thank you for introducing me to the Kerlan Collection at the University of Minnesota. What a great opportunity for your fellowship. All the best with your reading, writing, and creating, along with your three upcoming books. I agree - this post was incredibly interesting. So many riveting links and tidbits of information. Thank you for going into so much detail!